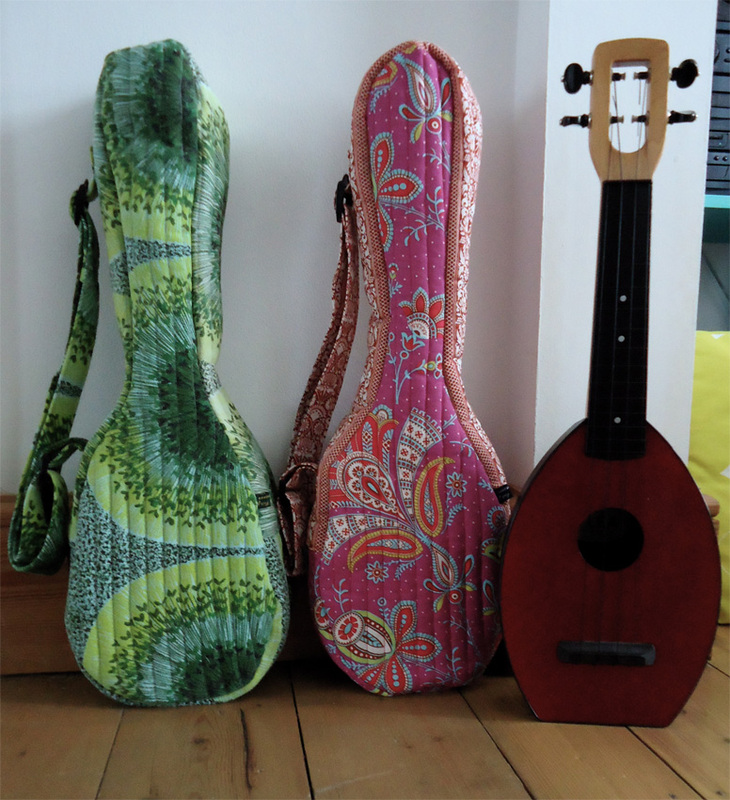 I've made two new gig bags for the soprano Flea ukulele. These have a beautiful rounded body shape with channel quilting in straight lines for contrast. One is cut from a bright green and turquoise piece of vintage 1950s barkcloth and has an atomic style bursting seed head print. 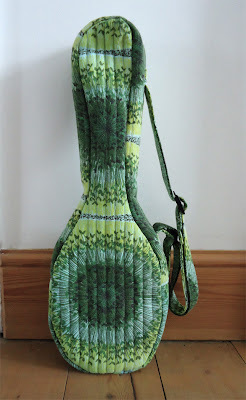 I love the feel of barkcloth and it makes a perfect strong but soft gig bag. 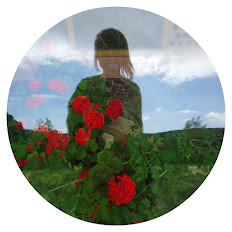 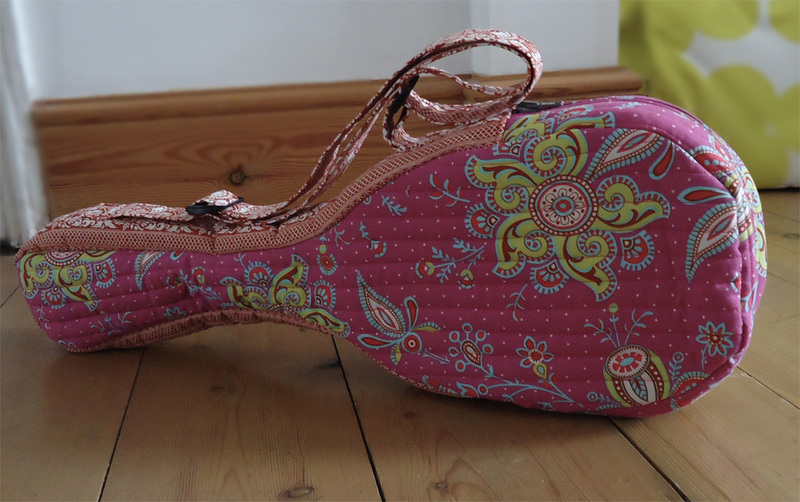 The other is made from Amy Butler's Sari Blooms cotton. 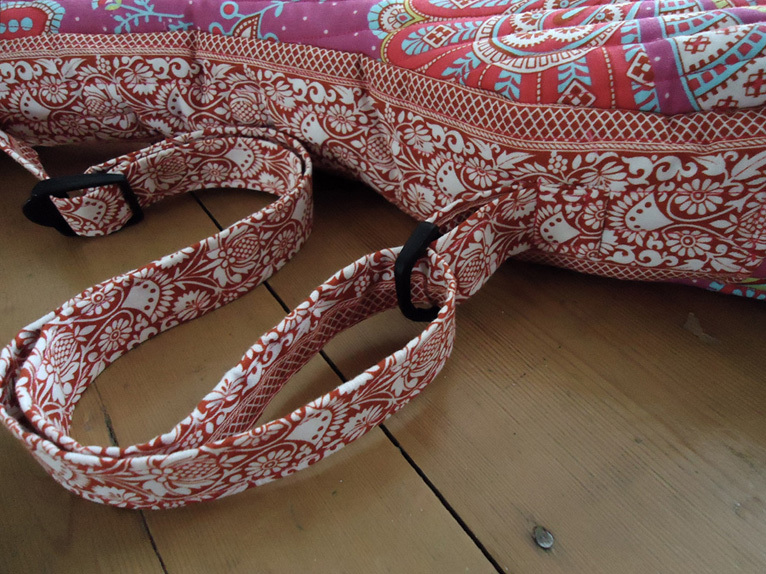 It's a wonderful crazy pink paisley fabric with an ornate rust filligree border. I've used the border as the side panels and strap. Both uke gig bags are on sale now in my Etsy shop.